These are weighted. 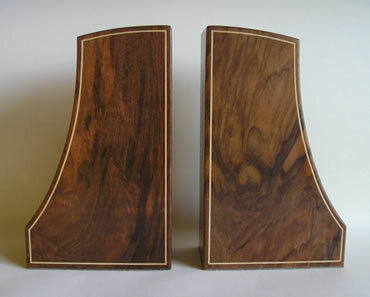 In figured woods, usually walnut, inlaid both sides with Holly or Ebony. The bottoms are covered in leather. Available from the workshop at £140 a pair. Good for wedding presents.